I have been watching so many nail art videos lately, and have a list longer then I care to admit of all sorts of great techniques and ideas that I want to try. I figured it was about time that I actually stopped watching hours of instructional videos and actually gave it a go! After I made my decision to try out gradient nails, I stopped over in my local Walgreens to help gather some nail polishes that were all in the same color scheme. Luckily for me I found that the “Sinful” line was all 99 cents a bottle! And some of the brands such as Rimmel and Sally Hansen had a lot of clearance bottles. Obviously these are not exactly top of the line nail products by any means, but they are cheap and right now, that’s all I need to hear right now! The first coat I did was a clear coat, with one that I had on hand, though I suppose any base coat you want to do as part of the bottom of your finished gradient will do. Using a makeup sponge I had, I brushed on a bit of polish on the corner, tabbed off the excess on some scratch paper (may need a few sheets or some spam mail to absorb the fluid). 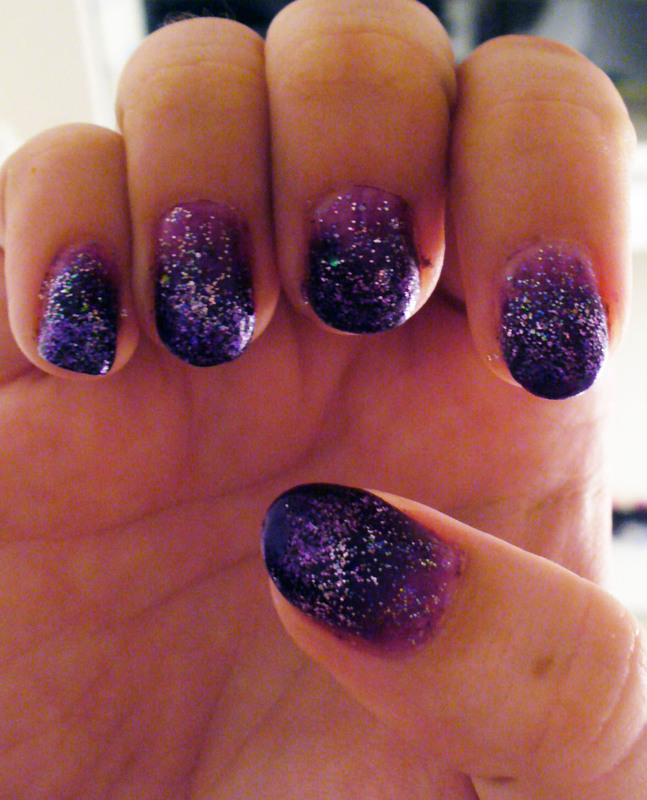 I just started at the tip of my nails, and worked my way down slowly. Sometimes you have to skip to other fingers if you find you have too much polish on the sponge. 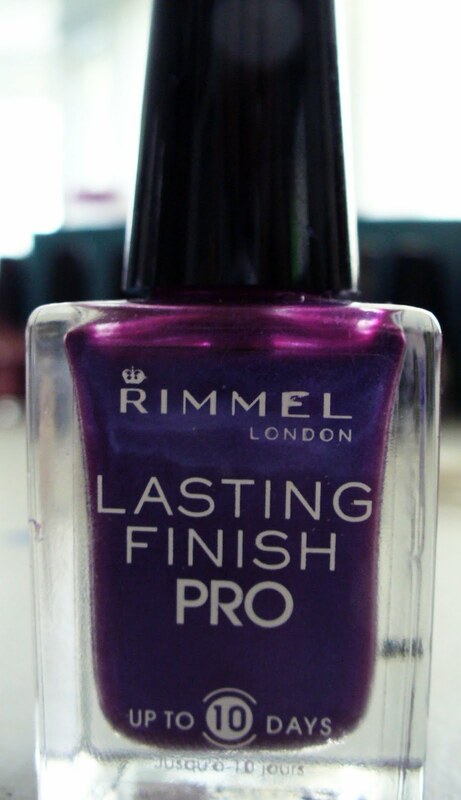 My first coat was with Rimmel: Last Finish Pro line, #350 “Violet Metal”. 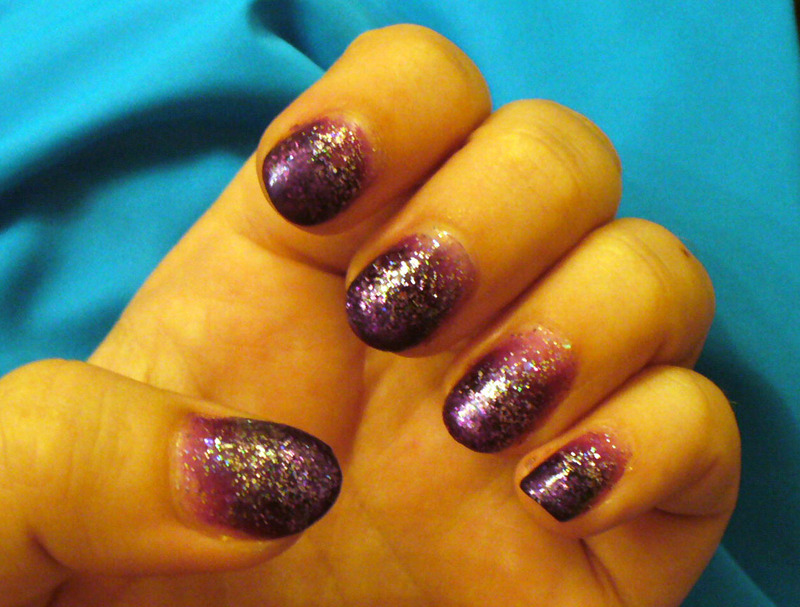 My next layer was with a Sally Hansen Hard as Nails: Extreme Wear # 40 “Purple Pizzazz”. With this coat and all additional color coats, I tried, and oh did I try, not to get as far down my nail as the preceding coat. It takes some practice, but you’ll get the hang of it! After letting that coat dry, I used just a smidge, and I do mean a very small smidge of Sinful’s “What’s Your Name” #319 on the top, just to add some depth. It wouldn’t be a finished project of mine if there wasn’t something shiny and sparkly involved! 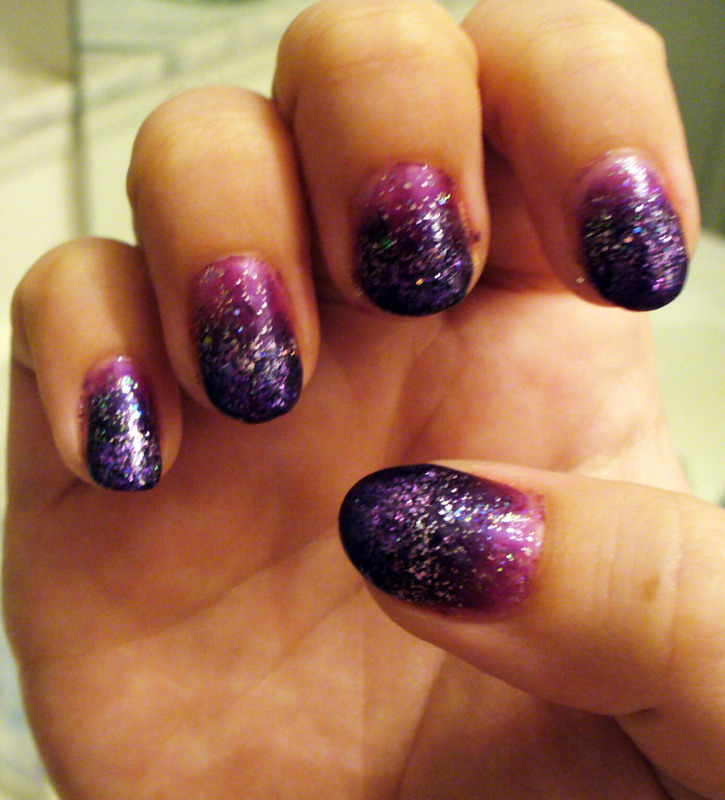 The next layer was sparkles! I applied this the same way as all the other coats, I just went down a little further on my nails than I probably should have. 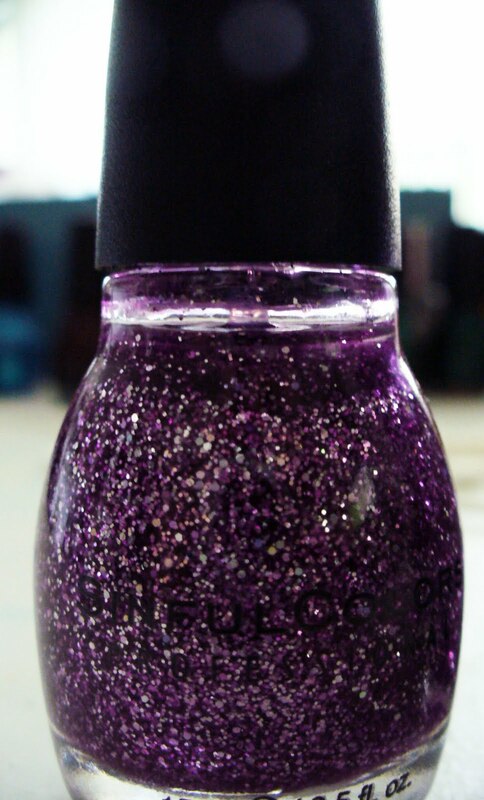 I used another of the 99 cent bottles from Sinful, #930 called “I Miss You.” Honestly I was expecting more of a purple look, but that’s ok! 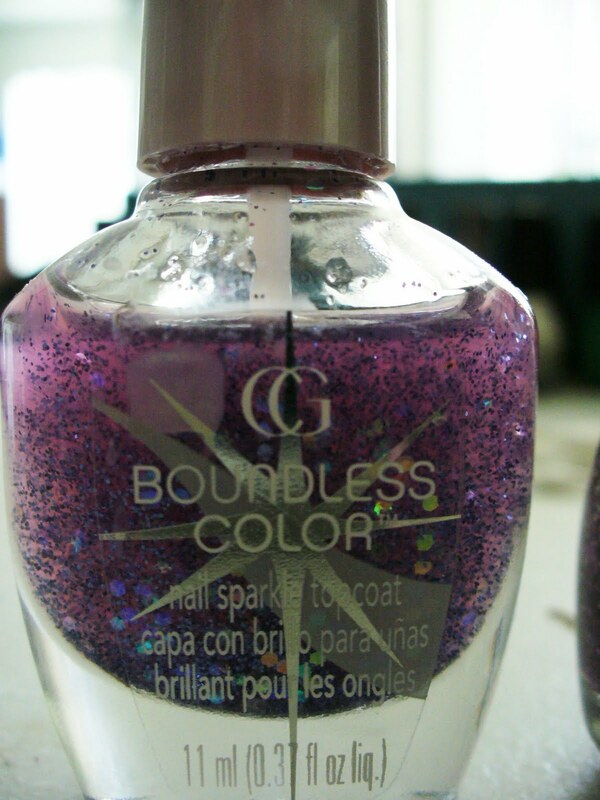 The final actual layer was with a Cover Girl: Boundless Color, #410 called “Amethyst Mist” which was actually quite pretty on. I found this at Big Lots for a dollar. Can’t complain about that! 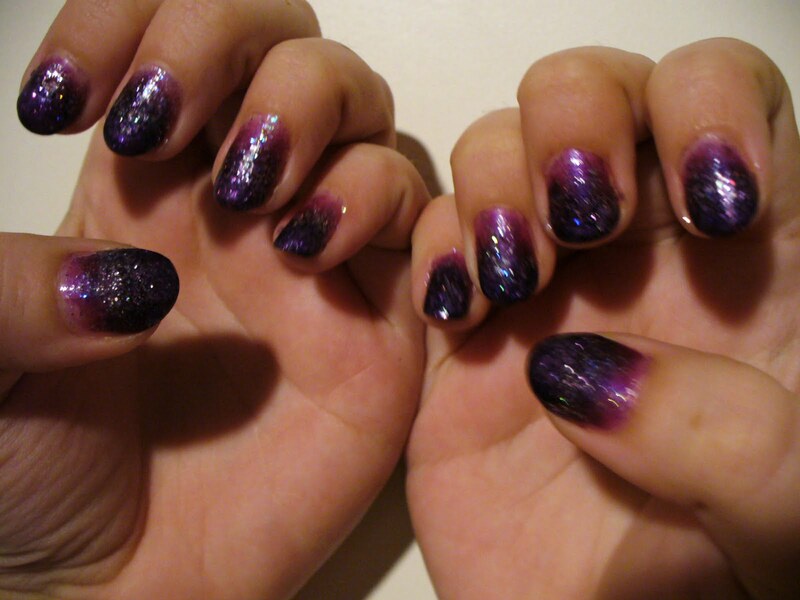 I was going for more of a gradient look, and the sparkles made too much of a light and shiny glare towards the tips, which are supposed to be darker. 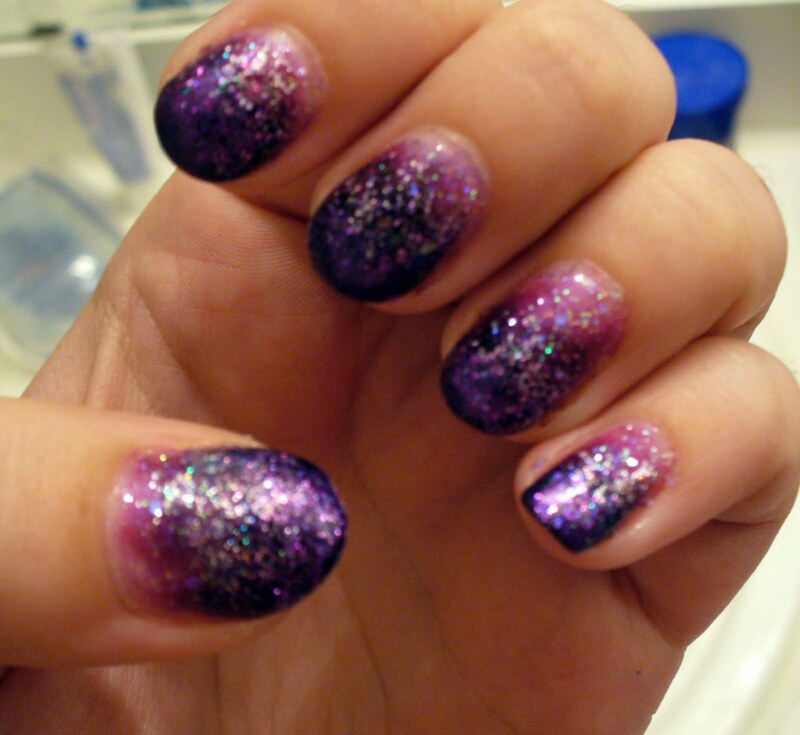 I decided the best step would be to use some of my dark shiny purple polish that we used earlier, the Sally Hansen one, and just sponge on the LIGHTEST bit at the nail tips. 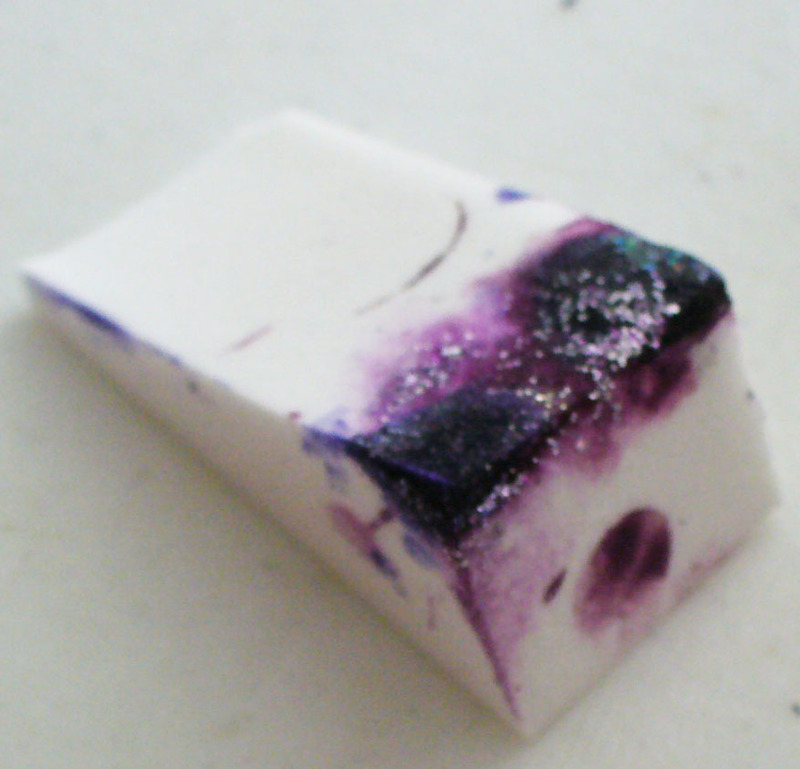 I have also included a picture of what my sponge looked like, so you can see what parts of it I was using. As always, make sure to put a top coat on to seal everything off! 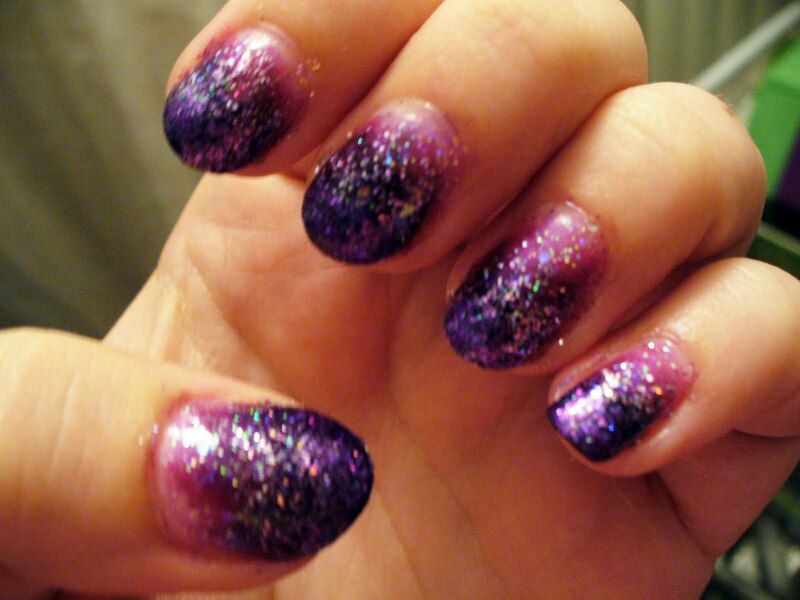 I hope you use this as some inspiration to try some nail art on your own nails! 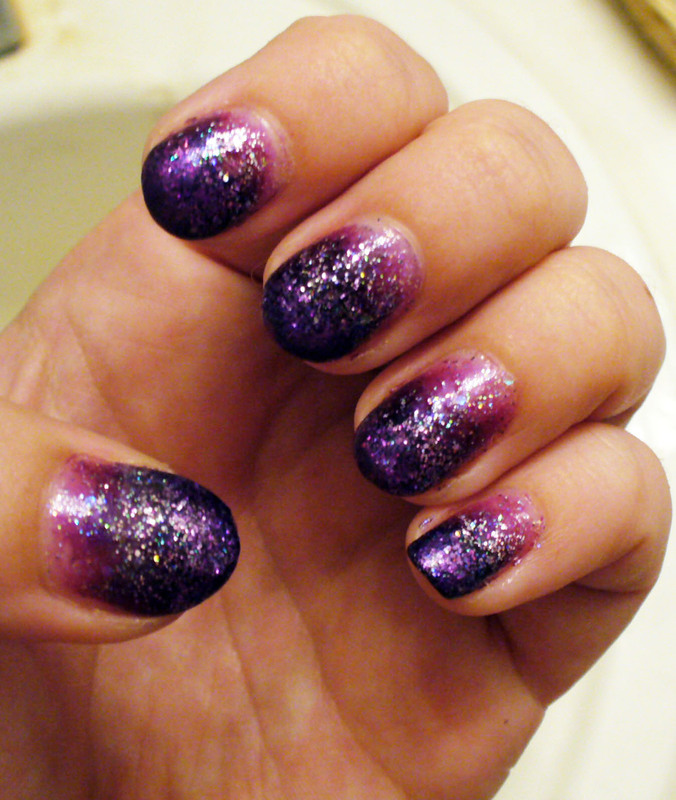 You can see I obviously don’t have the most even, long nails, but they are still pretty awesome all lacquered up! Use what you have, make something beautiful you will enjoy looking down at throughout the day! Sparkle On! I will today, thanks for the tutorial! You are most welcome! How did they turn out? !